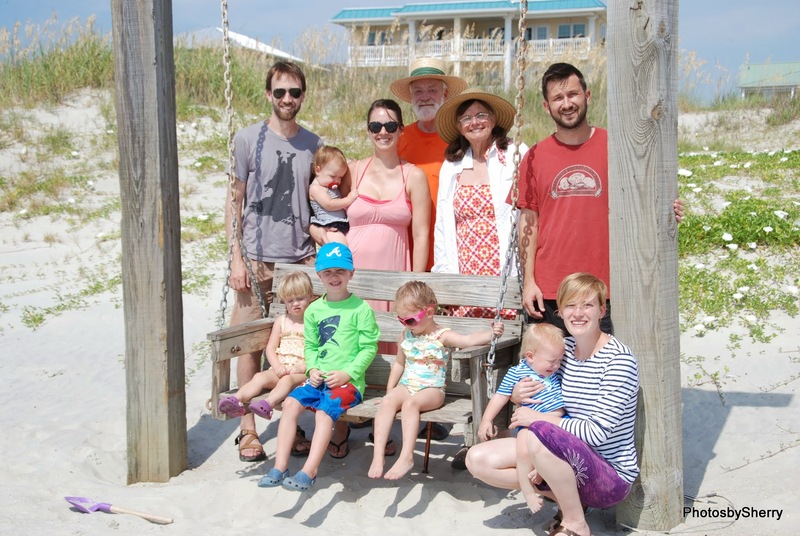 Six months ago I rented a house, big enough for six adults and five children for a week in August on Tybee Island… Our son and his family from Atlanta, and our daughter and her family from San Carlos, CA will be joining us for our first group vacation. Our son Johnny and his wife Kim have 3 children: Hank (age 4 1/2), Lucy (age 2 1/2) and June (about to celebrate her first birthday!) Our daughter Susie and her husband Kevin have two children: Eliza (age 2 3/4) and Hazel (turned one in June). This will be the first time the five grandkids have met all of their cousins and spent time together. Tybee Island is the northernmost of Georgia’s Sea Islands, which comprise the outer section of the state’s Lower Coastal Plain.Tybee consists of a sandy beach on its eastern shore, and a tidal salt marsh on its western shore. It is a small island… the city has a total area of 5.2 miles. Of this, 3.7 miles is land and 1.4 miles, or 2.72%, is water. The entire island (as distinguished from the city of the same name) has a land area of 21.871 square miles. As of the 2010 census, there were 2,990 people, 1,360 households, and 772 families residing in the city. The drive from Atlanta to Tybee is 284 miles, most of which is along interstates. The land is flat, not much development along I-16, and the road is lined on both sides with tall lodgepole pine trees. When the first wisps of Spanish Moss start appearing, we are getting close to the coast. We drive through Savannah, enjoying the tree lined streets where the Live Oak branches meet overhead forming a welcoming shady arch over the street. Savannah is Georgia’s oldest city, established in 1733. It was a strategic port in the American Revolution and during the Civil War. Today, Savannah is an industrial center and an important Atlantic Seaport. 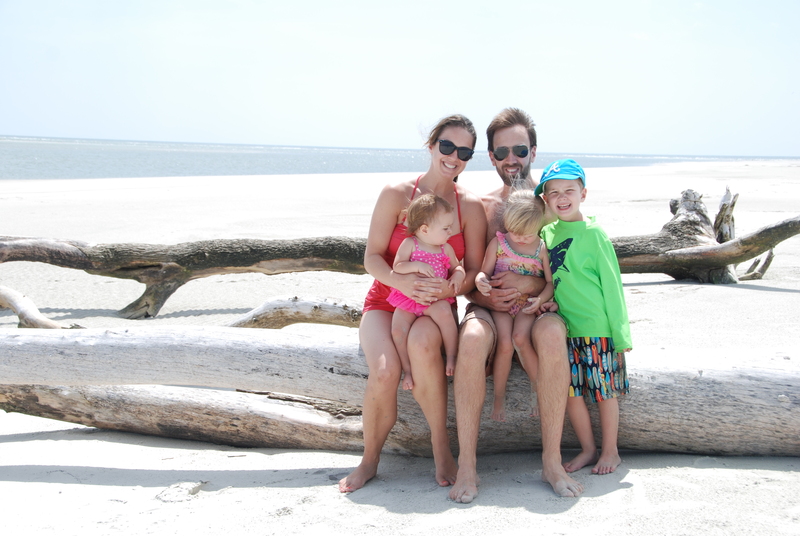 When I last wrote in this blog, we were embarking on our week vacation at the beach with our kids. We arrived at the house and unloaded the car. The kids arrived with their families and everyone picked bedrooms and got settled in. I mostly walked around with a smile on my face, watching all the kids and family members interact with each other. I was in heaven… And, we really enjoyed our week together. We stayed in a large 3 floor home (5 bedrooms, 5 bathrooms) with a small pool, and an elevator. We had lots of seating for eating at the dining room table, and at a counter in the kitchen. We also had a long counter and seats outside on the upper deck, with a view of the Savannah River. We also had a good view of the main shipping channel and we would see fishing boats, shrimp boats, container ships, along with schools of dolphins. Breakfast and dinner were lovely outside, in the cooler parts of the day. It was also a great place to play cards, and watch the beautiful sunsets. Grandpa is enjoying the evening air…. We had another good place to gather for board games, card games and children’s jigsaw puzzles – the large coffee table was perfect! Spending the morning on the north beach of Tybee. lunch time at the beach! at 4.75 yrs old, Hank is very comfortable at the beach in the water…. Johnny digs a pool for Lucy. Hazel is so excited in the waves. John and Sherry Crowell (Kevin’s parents) live nearby on Tybee and they often joined us during the day. John took a boat load of us on an outing to Cockspur Lighthouse… When they got out of the boat, they found there was a large bed of oysters, and loose rocks around the base of the lighthouse. Grandpa AJ found it hard walking in his slip on-crocs, while Eliza tightly held his hand. A boat ride to Cockspur Lighthouse. On the boat ride back, they watched for dolphins. They saw more schools of dolphins out than they have seen in a long time. The small pond out behind the house we stayed at was a great gathering place for birds… white egrets and green herons and great herons. Walking over the wooden bridge to the beach, you got a great view of the turtles that lived there. And, there were a lot of turtles! Susie and Eliza looking for turtles, from the walkway to the beach. Another day, John Crowell took two boatloads of people out to the sandbar… It was deserted and the group had the sandy strip to themselves. A tub full of cousins. they get washed one by one…. Betty Crocker Fudge Brownie Mix…. Boy, was it good. Story time… Note: we need more story books next time. The kids were a bit grumpy, and it took us a while to realize it was just too hot to be on the beach. We packed up and headed to our pool. We found out later it was record heat today… 115 heat index. If we had known, we would have stayed at our shady pool. Johnny & Kim left that afternoon (Friday, 9/22), and Susie and Kevin were flying out Saturday afternoon. And, John and I drove back to Atlanta after packing up Saturday morning. It was a wonderful family week, and I can’t wait to do it again next year. The grandkids will all be walking by then, with the youngest about two years old and it will be great! I am sorry this post took so long in coming, but I got food poisoning our last evening on Tybee Island and it has taken two weeks to feel good again and get my appetite back. 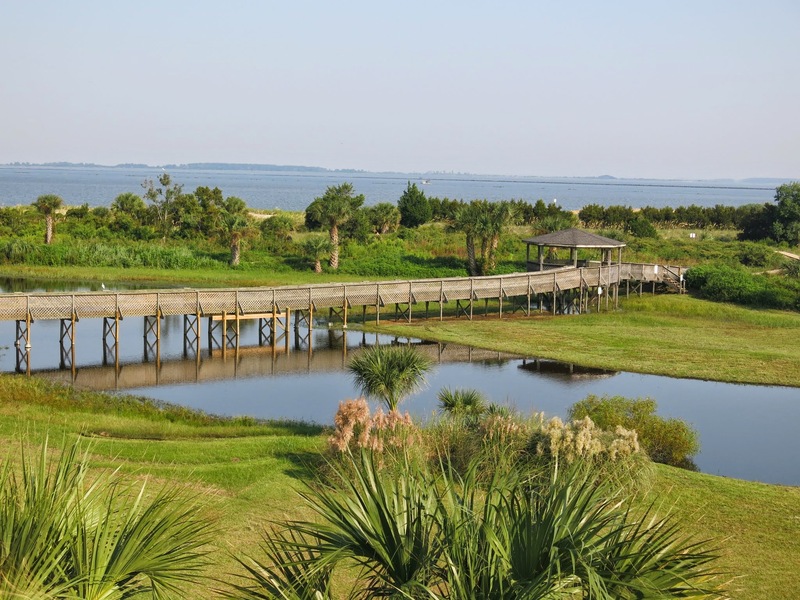 This entry was posted in Uncategorized and tagged card games, family, Family Beach Trip, Georgia, jigsaw puzzles, north beach Tybee Island, tidal salt marsh, Tybee Island, vacation. Bookmark the permalink. What a wonderful family vacation! And what a great way for the cousins to get to know each other. I love the picture of all the kids in the bathtub! It was… the kids got so excited when we announced there was a party bath. Hank & Lucy really liked the jacuzzi jets on but the others didn’t like it. Maybe next year! Haha Pam… It does sound pretty cool where you guys are. I am not ready for snow yet, but I would love some this winter. I must say, I do feel good, and I am truly enjoying just feeling good. I can’t wait till we get some fall weather… Enjoy it up in Canada. It was a very special time with all of them, Pam. I hope it will become an annual family get together. I always wanted a big family… Now it’s time time to enjoy it! It was a great week Holly! I can’t wait to do it again either. You should had seen the jelly fish sting John got the next week. It looked like he had a tattoo on his leg. He had ten stripes going around his leg, just above his ankle to mid calf. Ouch! And that happen in shallow water. Oh, Sherry! Poor John, that sounds terribly painful. The jellyfish were awful this year… I don’t remember so many people being bitten. I am glad you guys made it to Sante Fe. Where are you camped? And, don’t forget to try the breakfast burritos at El Parisol restaurants. They were the best! Thank you Jet… It was a very special week. The good memories will carry me to the next time we are all together.